Industrial designers by training, Clara del Portillo and Alex Selma created their first collection, named Yonoh, at the end of 2006. Since then, they have won some of the most prestigious awards in the world such as Red Dot, the IF design award, Good Design and the Wallpaper Design Award, among others. 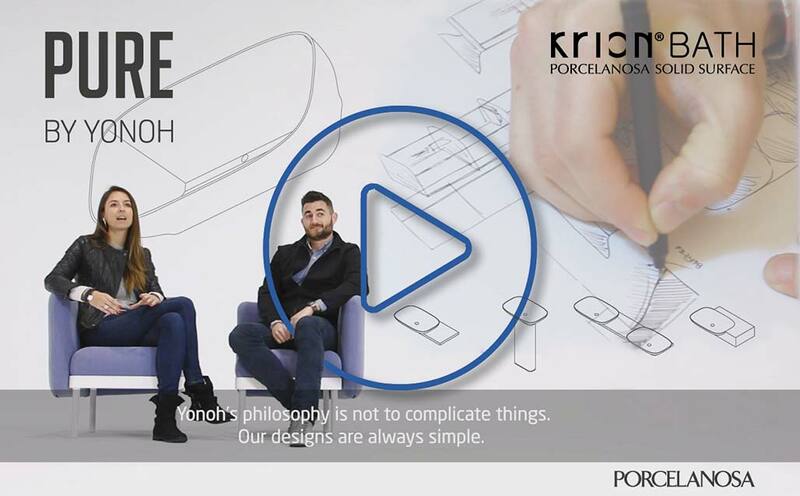 In the following video, Yonoh studio presents its philosophy, and how it has conveyed simplicity with organic and geometric forms within the “PURE” Series from KRION Bath.